Joseph, thanks for dropping by this morning. What’s keeping you here in Los Angeles this week? A bit of business and a bit of pleasure. I’m here doing some press and taking some meetings, relaxing and spending quality time with family. How do you undertake traveling from Atlanta and managing such a hectic schedule? I try to emulate one of those plate spinners, it’s exciting and can be stressful at times but you’ve just got to keep all your plates in the air. How did you first get involved in The Vampire Diaries / The Originals universe, and what are your thoughts on that? I was lucky that around the time I decided I wanted to be involved in television this great role came up in TVD. I got a tremendous amount of support from the fans who shared my passion for the genre. It was really them that started to entertain the idea of a spin off by making trailers on YouTube for ‘The Originals’. Neither the producers nor myself had communicated our shared desire to make this show so I think I have the fans to thank for forcing the issue. Top by BURBERRY LONDON, Sunglasses by G-STAR RAW. Tux blazer by TODD SNYDER, Shirt by RALPH LAUREN DENIM, Jeans by DIESEL. Shirt and jeans by G-STAR RAW, Shoes by MEZLAN. 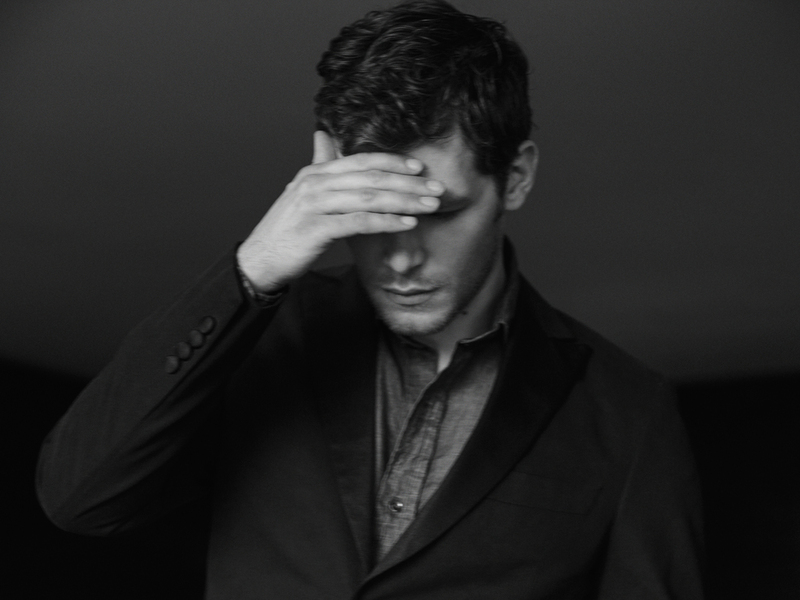 What is your perspective on your character, Niklaus Mikaelson? 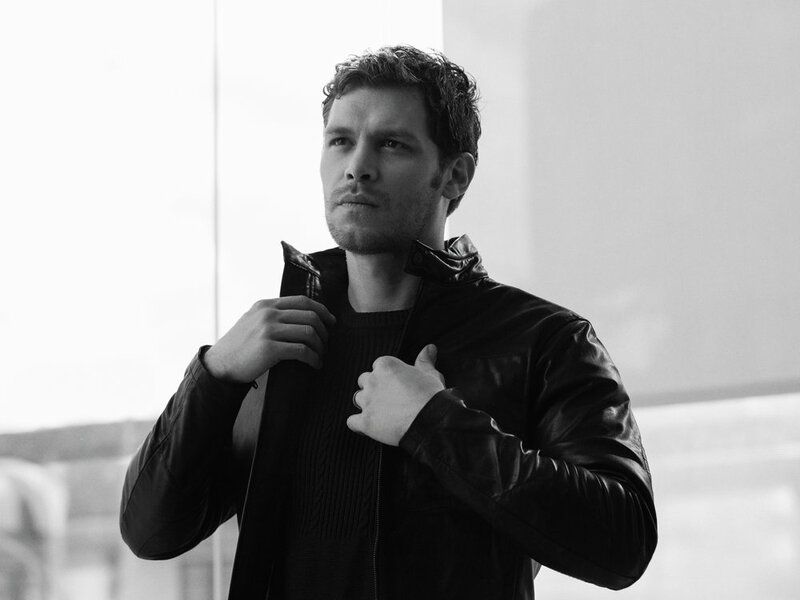 Hated by his father and rejected by his siblings, Niklaus Mikaelson is the black sheep of the family and the product of a deeply dysfunctional upbringing. 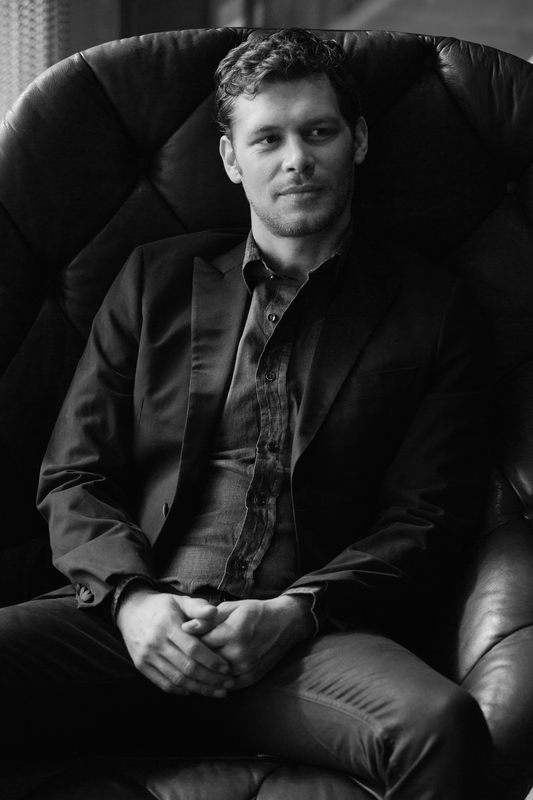 He is possessive over his siblings and utterly controlling of their actions, when we first met him in TVD he was carting them all round in coffins. He is desperate for the love and affirmation that was lacking in his childhood, this makes him prone to fits of rage that are fuelled by his bestial side. 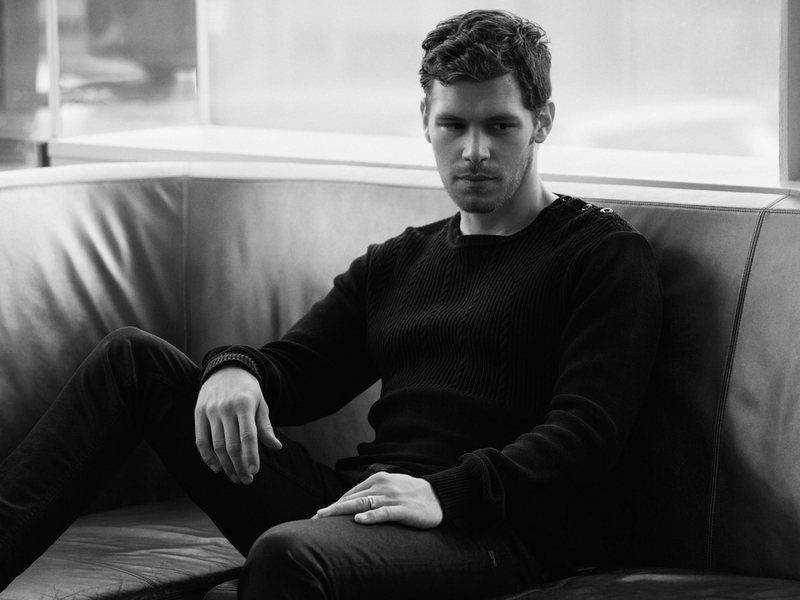 He is a sociopath, unpredictable and deadly... but most of all Klaus is lonely. Whenever he gets close to forming a meaningful bond he destroys it, fearful of the vulnerability it exposes in him. He is determined not to appear weak and because of that he will not allow himself to truly trust or love. Still, there is Hope. You have become remarkably familiar not only in the US, but around the world. How did you find the experience then? Was it what you expected it to be? It was very overwhelming and flattering to be thrust into the limelight so suddenly. It’s not something I speculated about too much before hand, I am grateful to have a job I love and I am humbled by the opportunities that exposure has brought into my life. How much do you pay attention to social media and your followers? A lot. Since I started using Twitter I have been a big fan of it. It allows me to have direct contact with people want to connect with me. It is a terrific way to exchange recommendations about books or films or anything else you are passionate about. It has helped my wife and I raise thousands of dollars for charity, including our latest project for Charity Water. Jacket and shirt by G-STAR RAW. Sweater by G-STAR RAW, Jeans by JOHN VARVATOS. How do you look back on your advancement as an actor thus far? I believe you can learn a lot from looking at your previous work and choices but it is important to keep forward momentum. I try not to dwell too much on what has been, instead focusing my attention on what is happening here and now. I also like to have an idea of my goals whilst trying to remain flexible, it’s important to learn to improvise and adapt because life intervenes every step of the way. What do you do to prepare yourself for your role? It truly depends on the part, but I believe the best way to prepare is the way that inspires you the most. If you find inspiration for the role though paintings and poetry then that’s your way in, if you discover the walk of your character by watching your pet cat move then there’s your key. To be inspired is a must for me. Where do you find inspiration - for yourself, and for your work alike. My wife is a great inspiration to me as well as a tremendous source of support. We constantly bounce ideas back and forth. I read a lot, I enjoy art, music, films, comics, video games and travel. I write and paint and am a campfire guitarist. I gain inspiration from learning about others and from that I learn about myself. I try to experience as much as I can so I can draw from it. I’m curious. Inspiration can be found everywhere if you open yourself to it. Tux blazer by TODD SNYDER, Shirt by RALPH LAUREN DENIM. I have two films in the final stages of postproduction. ‘Dermaphoria’ is a thriller directed by Ross Clarke and adapted from the book of the same title by Craig Clevenger. It also stars Ron Perlman and Walton Goggins. The trailer can be found here. ‘500 Miles North’ is a heart warming tale of two estranged brothers directed by my good friend Luke Massey and starring myself and Matt Ryan (Constantine in the NBC series) who I have been mates with since I was sixteen, he was best man at my wedding! Also, ‘Revelation’ the short I directed starring Persia White is being released on iTunes next year - exciting times all round. Lastly, tell us something about yourself that your fans may be surprised to learn. Years ago, my brother and I were in a band together called the Long Men. My brother is a very talented musician, he sings and plays the guitar.